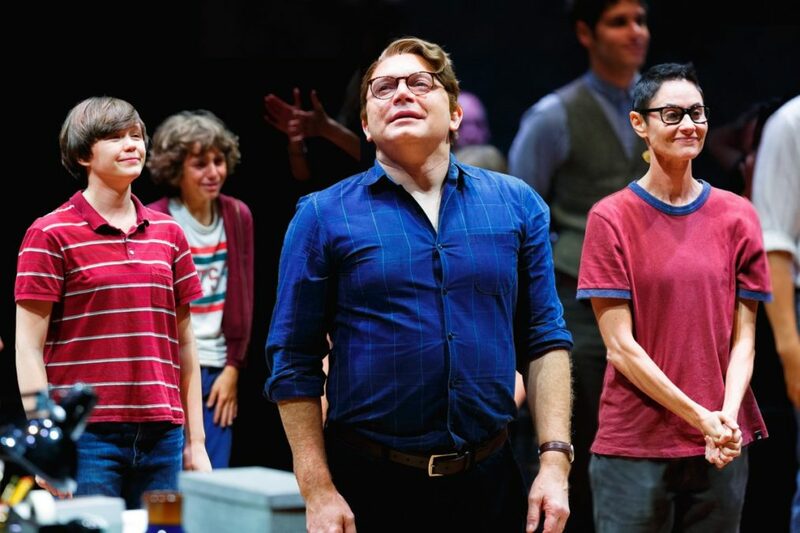 Broadway will never be the same following the departure of Tony-winning musical Fun Home, which played its final performance on the Great White Way on September 10. 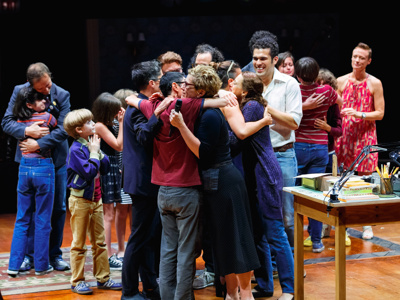 Since March 2015, audiences have been taking in the groundbreaking stage adaptation of Alison Bechdel’s graphic memoir about her closeted father and dysfunctional family. Her story is compelling in its own right; amplified by Sam Gold’s direction, Lisa Kron and Jeanine Tesori’s score and its cast’s heartbreakingly honest portrayals of the Bechdels, Fun Home earned five Tony Awards and the affection of those fortunate enough to visit that haunting house on Maple Avenue at the Circle in the Square Theatre. 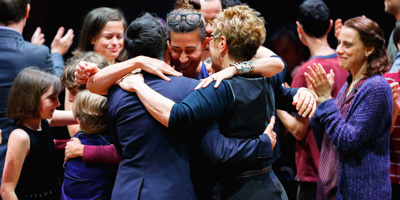 Take a look at the photos from the cast’s emotional final curtain call, and be sure to check out Broadway.com’s group chat with Tony winner Michael Ceveris, Judy Kuhn and Beth Malone.